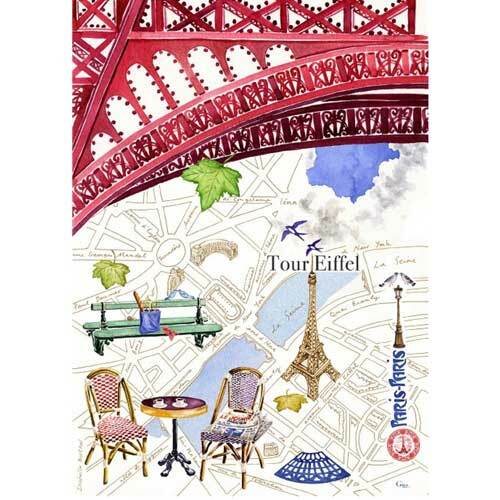 Gien Paris Paris takes one on a stroll through the emblematic quarters of the Opéra, Champs-Elysées, Tour Eiffel and Montmartre. 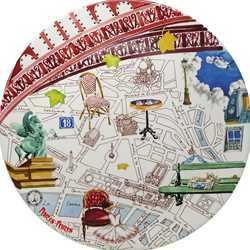 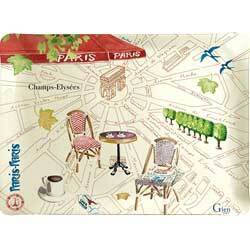 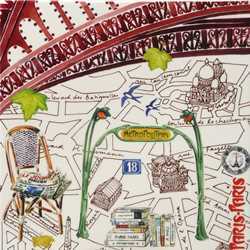 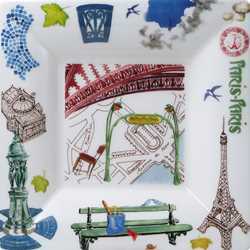 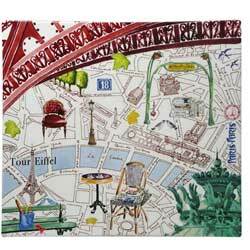 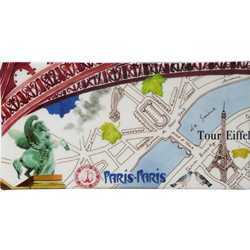 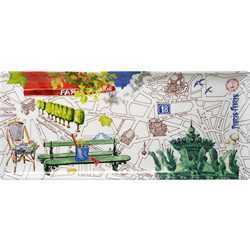 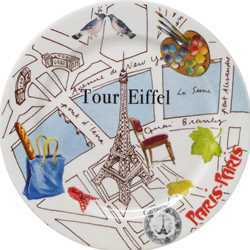 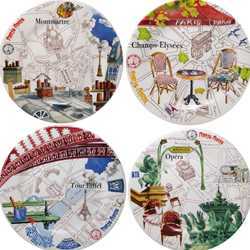 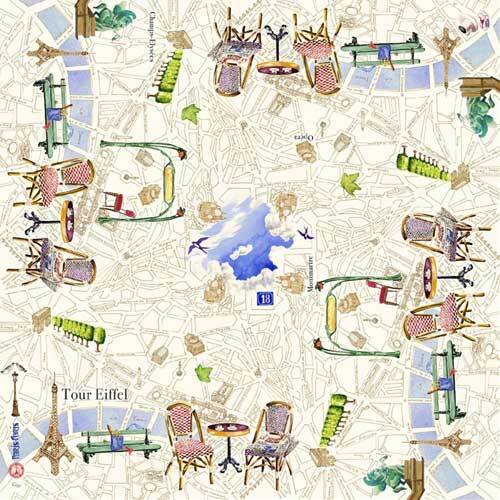 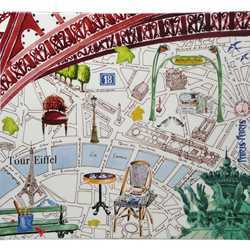 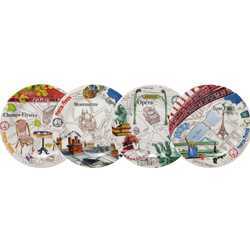 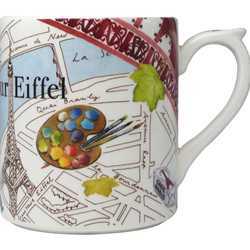 The Paris Paris décor pays homage to various monuments and districts of Paris itself. 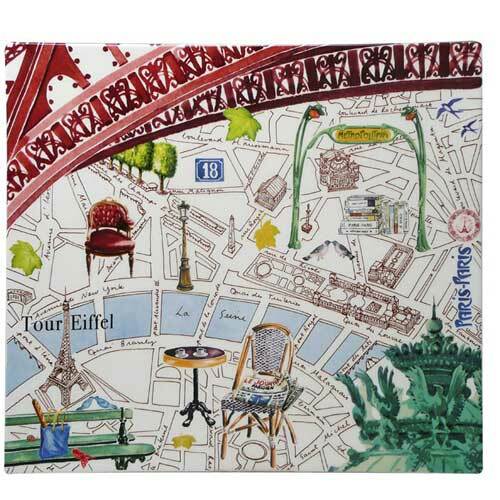 11.5 " x 10.5 "